No one is more eager to begin potty training than the Puppy! (OK, except maybe you.) This is a kid who wants to know how the big kids use the potty, and wants to join their ranks. Embrace Enthusiasm : Build on your Puppy’s natural inculcation to be energetic and eager to please. Do It Together : Go to the bathroom together whenever you can. Your Puppy will love the time together and wants to be like you! Eyes on the Prize : Find a reward that your Puppy will appreciate and use it as an incentive. Keep it Positive : Your Puppy thrives on positive feedback. Encourage her and make sure you notice her efforts! 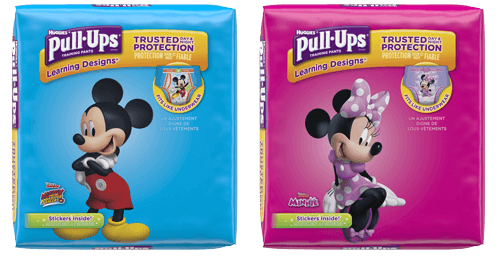 The Right Way to Train : Puppies want to do things the right way so let them know that diapers are for babies, and now that they’re getting to be a big kid, they use Pull-Ups®. We’ve also compiled some essential reading that will help you and your Puppy train together. on Pull-Ups® Learning Designs Training Pants and start training together!